Legal Name: G H Handyman Services. 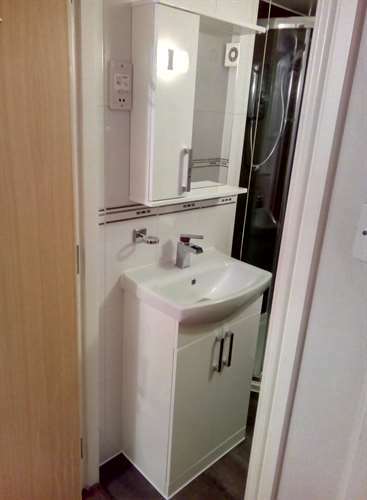 Remodelling of part of built in residential caravan furniture to allow free-standing chair to be added. "Graeme has a careful and thoughtful approach to his work which ensures the best outcomes. He has done two slightly unusual jobs for us, remodelling part of some caravan interior furniture and helping with a van interior conversion. Both times he has engaged in discussion with us during the work about how best to achieve what we needed and we have been delighted with the results. He is also prompt, polite, tidy and his work is excellent and reasonably priced, so we will definitely ask for his help again." Dismantling a garden shed and repositioning/reconstructing it in another part of my garden. "Graeme was courteous at all times throughout the initial assessment of the work, and during the work itself. He carried out the work to my satisfaction and left the area clean and tidy afterwards. I would recommend Graeme (GH Handyman Services) to family and friends"
Replacing rotten wood of pergola whilst taking care not to damage the Wisteria and rehanging shed door with new hinges. "Excellent job as ever, thank you Graeme!" "Graeme appeared at the agreed time and was very efficient and conscientious in the work he carried out. In the case of the door he responded quickly indicating a local supplier for the specific door we required. 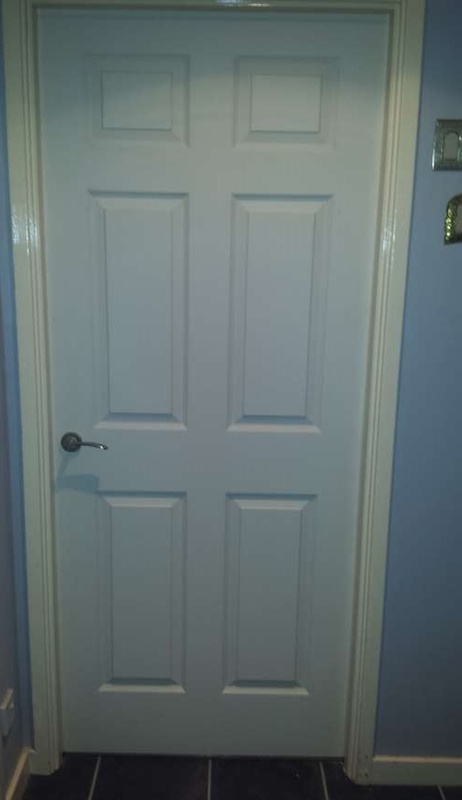 Once we had reserved it he promptly collected the door and arranged a date for fitting. All of the work carried out was of a very high standard and the price charged was very reasonable. Would have no hesitation in recommending Graeme to family and friends � in fact have already done so. "This is the third job of similar type Graeme has done for us. 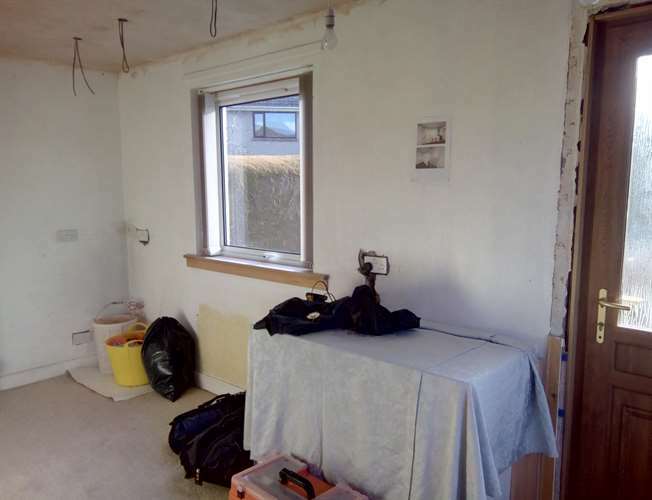 we find him reliable honest and fair.He was able to do the complete job where others declined to do the plasterwork. 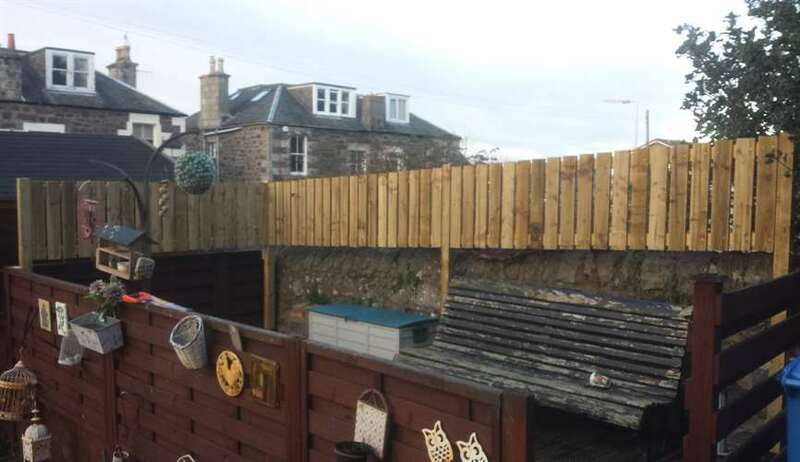 We would not have asked him back if we had not been completely satsfied with his previous work for us.We will hopefull be getting him to do further jobs for us in near future"
Replacing roof felt on garden shed. 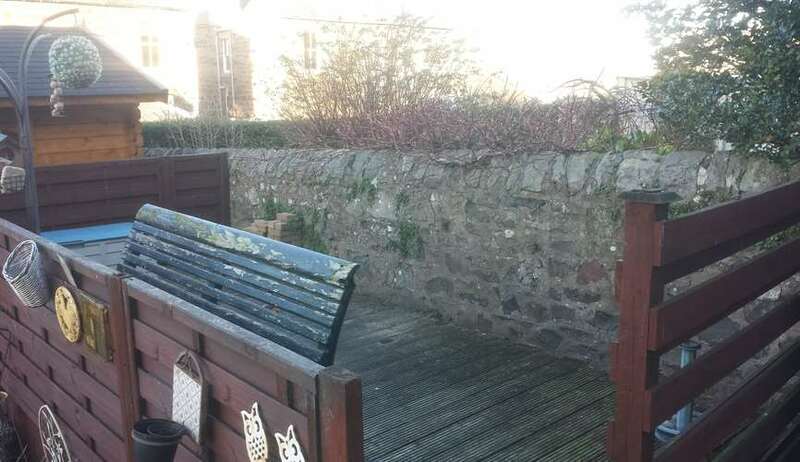 "Contacted Graeme to replace decayed roof felt on garden playhouse/shed. He did an efficient and professional job at a reasonable price. Very happy with the standard of the work." Work on gutters, repair to door,. Repair to security light. 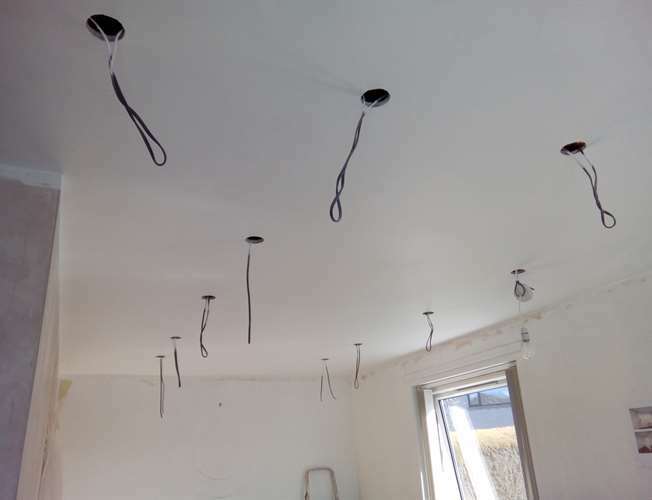 "Graeme was reliable punctual and hard working during the job which took 3 days to complete. He kept me up to date throughout. 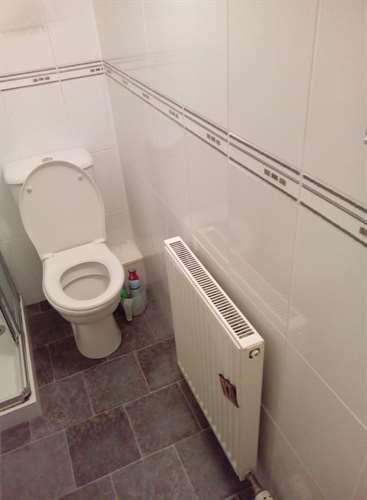 Competitive price and pleased with the work carried out. 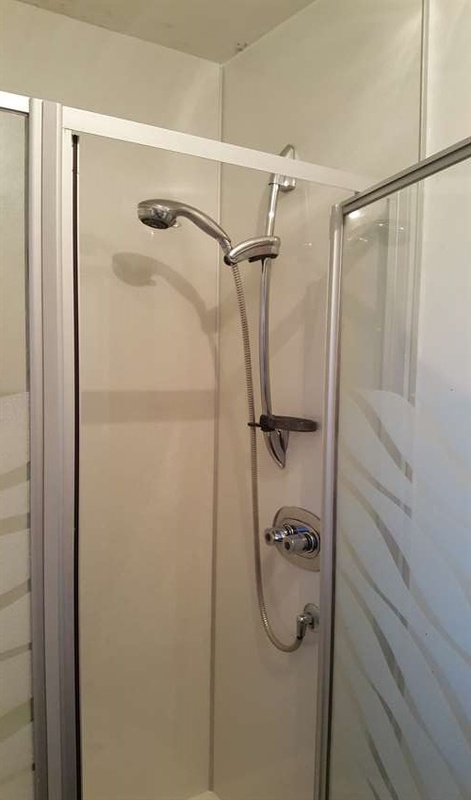 Would not hesitate recommending GH Handyman and will be contacting him for future jobs I'm sure." Repair of garden gate and cellar door. Also removal of damaged mirror sliding door. "Willing to come very soon to see what needed to be done and explain what would be involved. Work undertaken efficiently and tidily. Explained the need for unexpected extra time/work on garden gate. Prompt receipt of invoice itemising costs of materials etc. Overall, very efficient, friendly and professional." 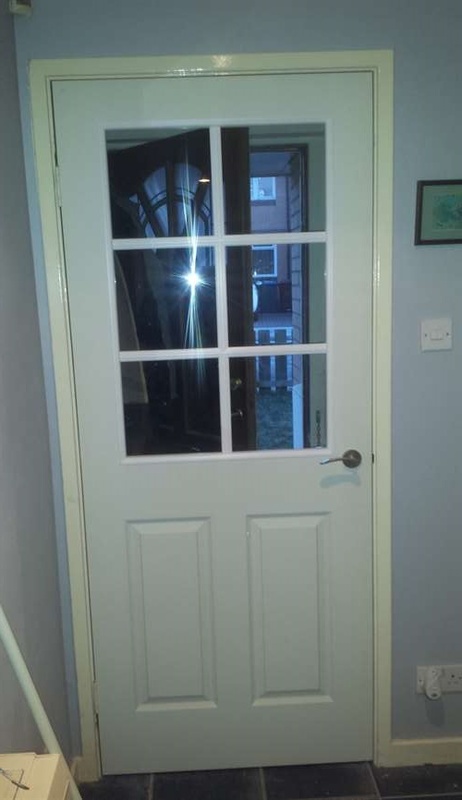 Replace 6 x internal doors with 5 x 6 panel doors and 1 x 6 panel glazed door. "Graeme was very curtious and polite during the time he was in my property. He was very professional and treated my home with respect. He arrived each day when he said he would and left my premises neat and tidy and the end of each day. Myself and my wife are very pleased with the work carried out and would have no hesitation in using his services again or recommending him to family and friends. 10/10 all round." 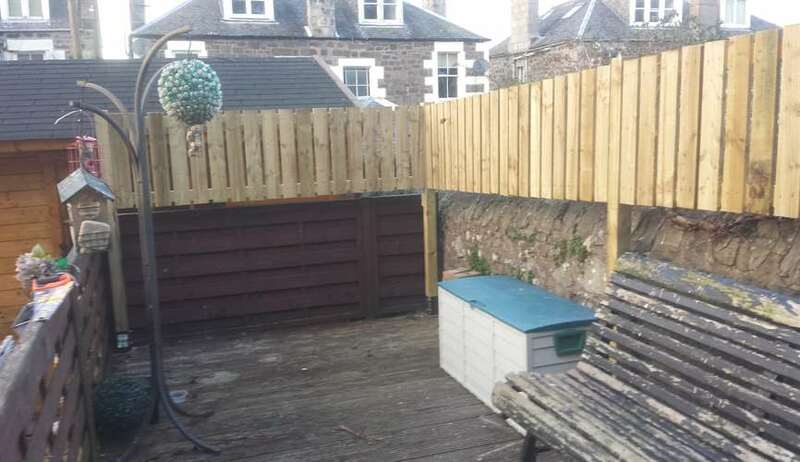 Fencing around the decking area and entrance gate to the property. "Very professional. Work executed very well to a good standard. Clean and tidy finish. Reliable and trustworthy. Have used this person before." 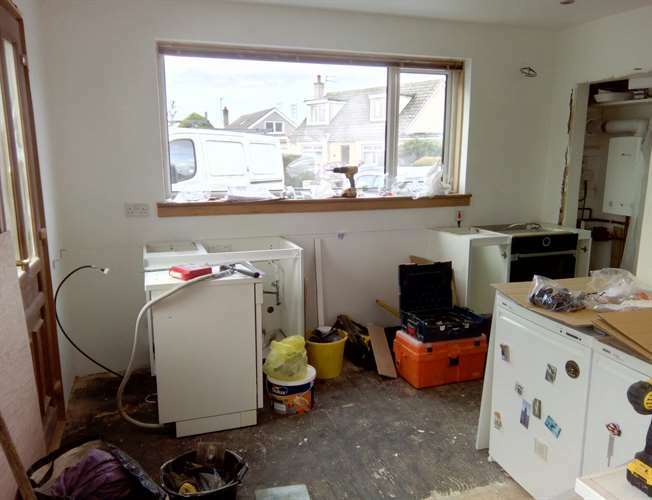 Various works requested, including joinery and electrical. "I am so pleased to find a professional, reliable and competent handyperson. Graeme carried out all works as agreed to an exceptional standard and cleaned up afterwards. He is friendly and trustworthy. Highly recommended!" Adjusting several doors which were not closing properly, refixing loose newel posts and freeing locks that were stiff and difficult to operate. "Graeme came when he said he would and carried out all the agreed work in a very professional manner." 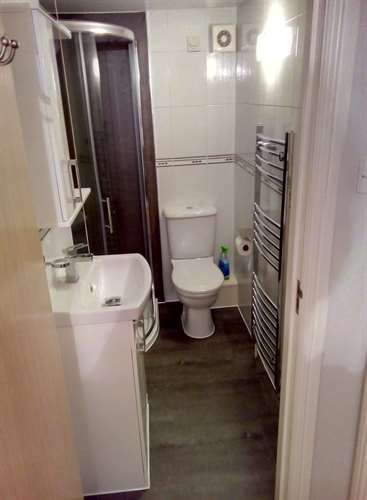 Removal and replacement of: shower tray and enclosure (from square to offside quadrant), electric shower, pedestal sink (to a sink with cabinet), toilet seat, flooring (from vinyl to LVT), radiator (to heated towel rail), light fitting. 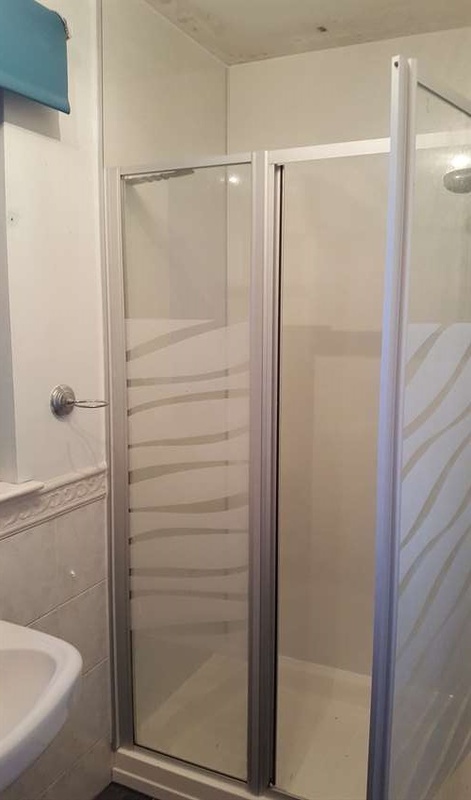 Fitting of bathroom vanity cabinet, wet wall around shower. 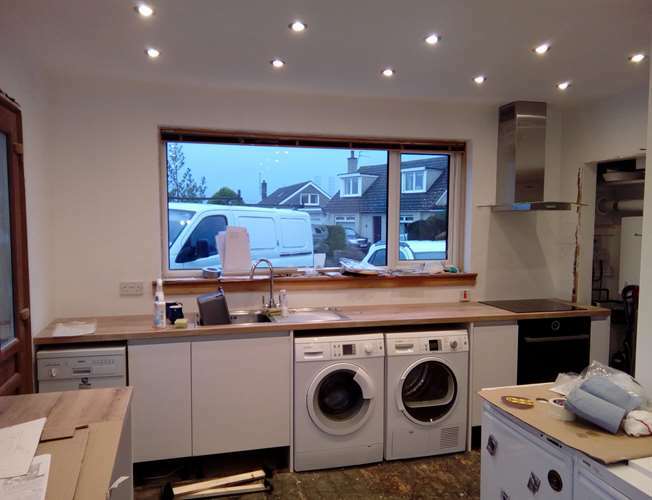 "We�ve used G H Handyman services several times and have always been so impressed with the work and value (previous job so include creating additional storage in kitchen and bedroom etc). Graeme is so helpful, able to offer advice on what to buy (and not buy) and what will work etc, and is always willing to carry out the extra jobs that I seem to compile in the time between him coming to look at the job and getting it done! 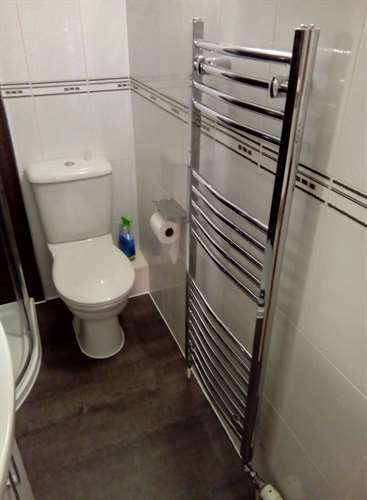 The most recent work is our bathroom - I had wanted a complete refit but with a baby on the way we couldn�t justify the expense so decided to replace a few things with Graeme carrying out all of the works - In the end the only thing that stayed was the toilet and some of the tile! Graeme was able to replace everything else at a fraction of the cost of the bigger companies as we were sourcing it ourselves, and with exceptional work (all within a few days). It has quickly become our favourite room in the house and we regularly comment on how it looks like a luxury hotel bathroom! Graeme guided us through what we needed to purchase and was always happy to reply to emails and look at links and see if what I wanted could work, and he was happy to do all the finishing touches that I remembered along the way. 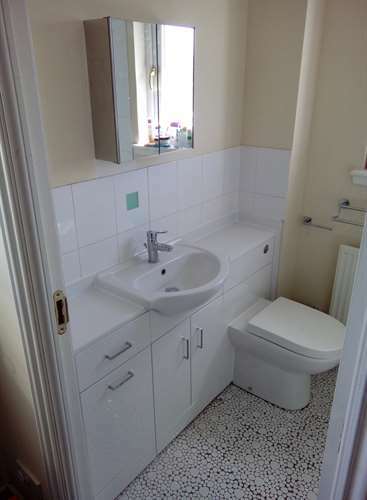 Any work we need doing we will always call on Graeme, and have been asked for his details from friends and family who have admired our bathroom. 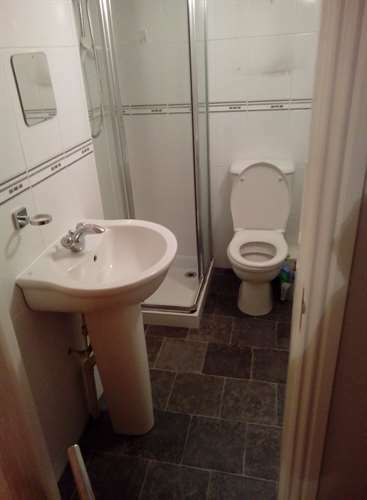 We�re now planning the downstairs bathroom and hope to get Graeme back soon! Highly recommend for a professional, quality and friendly service." "Very accommodating, friendly and professional. Work carried out to a very high standard in a reasonable time. All rubbish removed and left everything tidy. 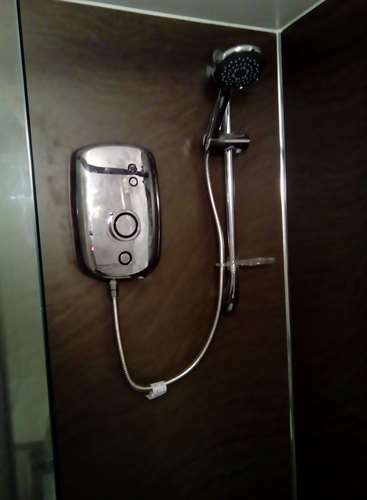 Wouldn�t hesitate to use again"
Fitting new bath panel, sealing round shower, sinks and bath, repairing kitchen ceiling and replacing broken light switch. "Graeme arrived on time and carried out the jobs to our satisfaction. 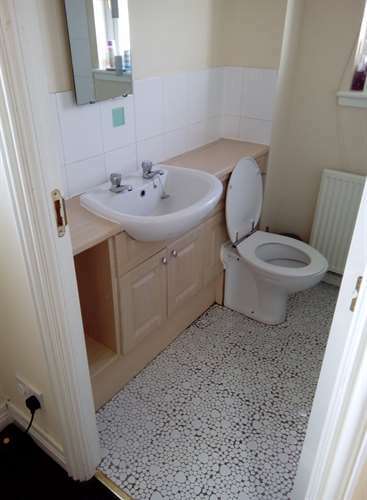 He left the house tidy and we would highly recommend him." 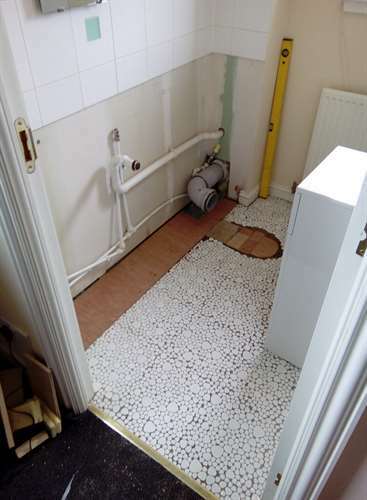 "Enquiries and quote request were answered promptly and the dates provided to complete the job were flexible. 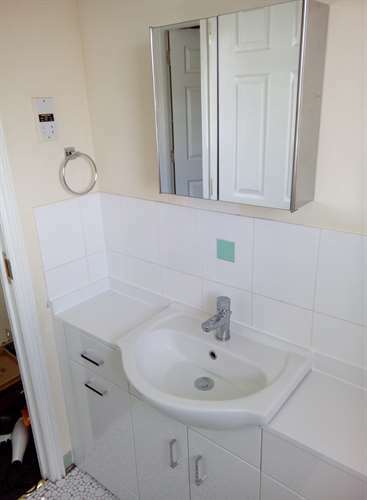 GH handyman services phoned prior to arrival as requested, arrived on time and completed the job satisfactorily and within expected time frame. All in all, I wouldn't hesitate to use again." 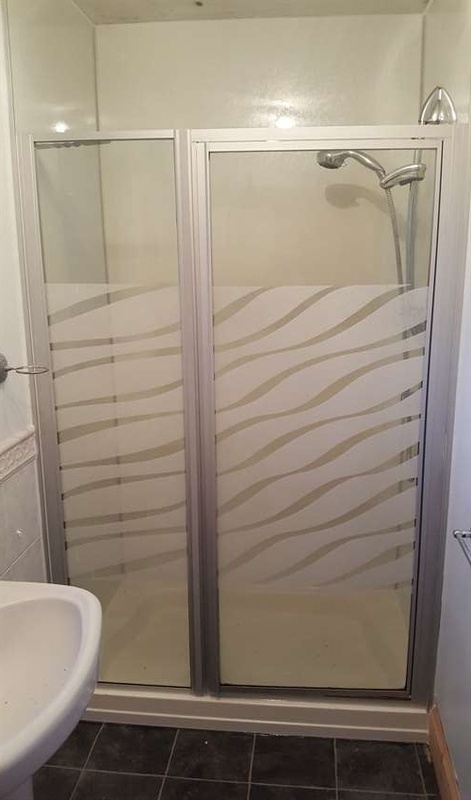 Bathroom unit removal and installation. "Graeme did an excellent job. There were many unexpected problems that had caused the job to be more difficult than expected but Graeme remained calm and resolved all the problems with great care. I would recommend Graeme to all my friends and family and I will have no hesitation in using Graeme�s services in the future. 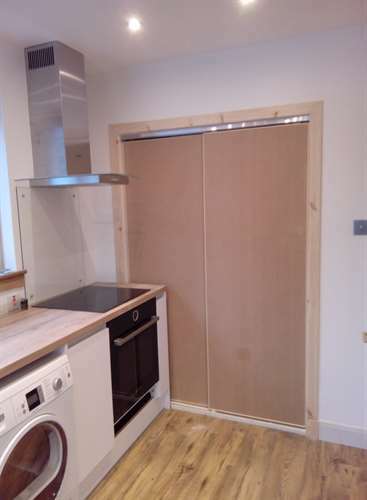 Old kitchen stripped back, all walls & ceiling repaired & plastered, new kitchen & flooring installed & sliding doors built & fitted to pantry cupboard. 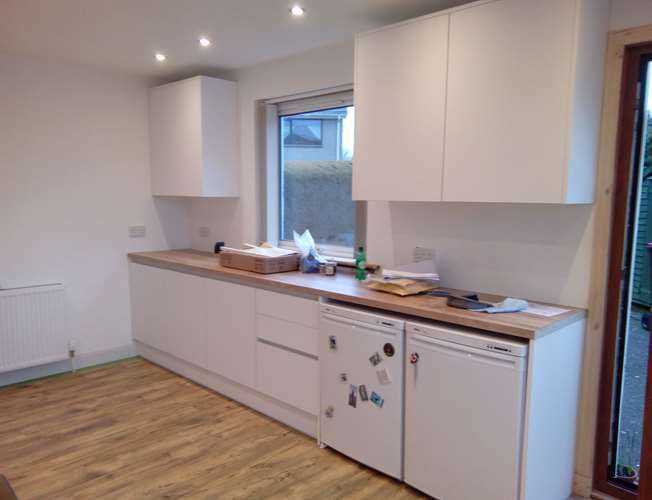 "Graeme did an amazing job of transforming the kitchen despite thre being problems with the actual kitchen units, the old plumbing & getting the new pre-designed kitchen to fit - he was very thorough & each part of the job was done to perfection - Graeme worked almost non stop all day every day & tidied up every day before he left, he is very pleasant & hardworking. Would definitely recommend Graeme & will not hesitate to ask him to do more jobs for me in the future." "Graeme is very polite, professional and he does an excellent job. He asks for your input whilst doing the job to ensure it is completed as you wish it to be, which I find very important. Would highly recommend him."